LAM Flights booked via SouthAfrica.TO qualify to earn travel vouchers. Simply email a writeup of your flight to cheapflights@southafrica.to & we'll send you vouchers. Easy. Help with Flight Quotes - our travel consultants are itching to assist you! use the flight price comparison tool on the left to search, contrast and book the cheapest flight deal. See our flights to Mozambique page, for a full discussion of flight connections between South Africa and Mozambique. 7 January 2015 : Mozambique’s newest airport, Nacala, opened its doors in December last year. The airport is set to boost travel and tourism in the northern parts of the country. LAM is the first and currently the only airline to fly to the new airport. The airline flies to the airport three times a week from Maputo. The airline uses an Embraer 145 which carries 50 passengers. The flight departs Maputo at 06h30, arriving in Nacala at 08h35. The return flight from Nacala leaves at 09h05 and arrives in Maputo at 11h10. 13 March 2014 : In the Integrated Development Strategy for the Transport Sector, it's announced that a subsidiary of LAM for intercontinental flights will be set up, and also that the airline aims to be flying to all SADC countries by 2015. 5 Feb 2014 : It's announced that LAM placed an order in November for 3 B737NGs, which are to be delivered in 2015, 2016 & 2017. This is a serious increase in the capacity of their fleet, and means they're entering the medium-sized jet arena (currently they only have Q400s & Embraers). 10 October 2014 : After firing previous CEO Marlene Manave in July of this year, LAM Mozambique Airlines has now finally appointed a new CEO in Dr Iacumba Ali Aiuba. Dr Aiuba was appointed on the 6th of October 2014 as both a board member and as the new CEO of the Airline. Marlene Manave was fired after the airline reported huge losses and it seems like Dr Aiuba has been brought in to turn the airline around. He will have to hit the ground running! 18 July 2014 : Linhas Aereas de Mocambique, LAM, has fired Chief Executive Officer Marlene Manave after the company experienced continuous loss making. This comes after Carlos Jeque, one of the board of directors, was also fired in June. Manave was replaced by Iacumba Ali Aiuba who previously worked for the National Electricity Council and the National Communications Institute of Mozambique. These changes have been made in an attempt to get the underperforming airlines credibility back to where it should be. These changes come a year after the airlines first ever fatal accident when a scheduled flight from Maputo to Luanda crashed in Namibia. Good luck to the new CEO who has a tough job ahead! 30 December 2013. Antonio Gomes, the accident investigator for Mozambican aviation, has questioned the theory that the pilot committed suicide: "It is obligatory to carry out these manoeuvres when there is an emergency descent. Everything that the pilot did coincides exactly with what is in the manual." In response to noises of beating on the door, Gomes mentioned that there are ways to open the Embraer door from the outside. 22 December 2013. In a press release, LAM Expressed deep concern and shock at the Commision of Inquiry's findings. “In this difficult moment, our thoughts and prayers are with the families and loved ones of those who were on board the aircraft”, said LAM. 29 November 2013. A LAM Mozambique plane crashes in the Bwabwata National Park in northeastern Namibia, with all 33 people on board (6 crew and 27 passengers) dying. The pax included 10 Mozambiqcans, 9 Angolans, 5 Portuguese, 1 French, 1 dual Portuguese-Brazilian and 1 Chinese citizen. Flight TM470 took off from Maputo at 09h26 GMT was on its way to Luanda (Angola), the last contact with air traffic controllers was made at 11h30 GMT during heavy rainfall over northern Namibia, and the plane was scheduled to arrive in Luanda at 13h10. The plane was an Embraer 190, whose 93 seats were mostly empty. This is the worst aviation accident for Mozambique since Samora Machel's plane crashed in 1986 in South Africa. At 11h00 on the 9th December 2013, LAM posted the following update on its webite: "LAM continues to give support to the families who lost loved ones in this tragic incident. We are in personal contact with the families regularly to inform them of any new developments and ensure they understand the complex process that follows an accident such as this. Psychologists continue to be available to the families to help them cope with their loss and sadness and we will continue to provide other support as needed. A mural has been unveiled outside LAM’s offices in Maputo and a condolence book has been opened so that loved ones and friends can lay flowers and leave remembrance messages to the passengers and crew members who perished on 29 November. IDENTIFICATION PROCESS The identification process is complex but methodical and involves DNA matching. While it is a slow process, it is the most accurate. Family members of those who died in the crash have come forward to provide DNA samples and other helpful descriptions and photographs. This has been deeply upsetting for families who, despite this, have been most keen to inform and assist those involved with the identification process. The collection of DNA has been conducted by experienced forensic specialists; sympathetic and understanding counsellors as well as translators are collecting essential information and guiding the families through the process. FACTS NOT HEARSAY LAM is concerned that media in other countries, and on the Internet, are presenting speculation and hearsay as fact and that this is being re-reported in Mozambique and elsewhere, either formally or informally, causing anxiety, upset and uncertainty locally. The very sad fact is that, because of the impact of the crash, there are no intact bodies. Although there were early reports that some passengers or crew might have evacuated the plane before it crashed, this is speculation. Media reports suggesting that two bodies had not been recovered was also speculation made on the day after the accident by passers-by with no understanding or experience of the aftermath of air crashes. INVESTIGATING THE CAUSE OF THE ACCIDENT Investigating the cause of the crash is the responsibility of the Namibian Civil Aviation Authority supported by the equivalent civil aviation authorities in Angola, Botswana, Brazil and Mozambique plus the US National Transportation Safety Board (NTSB). LAM will, of course, provide every possible support to the investigation. SAFETY FIRST Safety has always been the first priority of LAM. The airline is a member of the International Air Transport Association (IATA) and recently passed IATA’s Operational Safety Audit (IOSA), which is the internationally benchmarked gold standard measure of airline safety. IOSA is applied, equally and without compromise, to all IATA members worldwide and it is a pre-requisite for continued membership of IATA. The African Union, in its 2012 Abuja Declaration on Aviation Safety, has adopted IOSA as the best measure of safety for member states. Despite the improvements to safety, no audits are bullet-proof and, regrettably, accidents can and do occur. Rest assured that LAM will continue to be diligent and vigilant in its operations." At 20h00 on the 6th December 2013, LAM posted the following update on its website: "Today, work started to collect DNA samples from families to aid with the formal identification of people who perished in the crash. The purpose is to return the remains and personal effects of everyone on board so their families can arrange funerals for their loved ones. Family members in direct and close line with those on board are being asked to provide DNA samples in a process that is being conducted by a small team of fully trained, experienced professionals working to recognised international standards. They have been officially authorised, by the Mozambique forensic pathologist here in Maputo, to undertake this important work.The process will be conducted in private and will remain wholly confidential, forever. Nothing will be disclosed to anyone outside the process – the people collecting the information, the people supporting the families through the process, and the laboratory doing the analysis plus the families. No one will know what is disclosed in private during the process and we have assured the families that this is the case. LAM is providing translators to ensure that families fully understand the process. Similarly they will ensure we can acknowledge and allay any concerns that relatives might raise. We have also arranged for psychologists to support the families throughout the process as although the process itself is not invasive (it involves gently wiping an oral swab against the inside of one’s cheek), we appreciate that some relatives will be distressed and upset because of the very sad reason for needing this process. We are doing everything we can to support the families through this stage of the deceased’s identification process, and it is part of our continuing commitment to them. Meanwhile, yesterday we unveiled a mural to honour and remember those who died in the crash. It is located immediately outside LAM’s head office. Families joined us at the unveiling of the mural and placed white roses and other flowers at its base as a mark of respect to those who died. This mural is a temporary arrangement to provide an early opportunity for people who want to commemorate their loved ones’ memories. In due course, we intend to erect a permanent memorial." At 20h00 (Mozambique time) on the 3rd December 2013, LAM posted the following update on its website: "Following is our 4th update following the tragic loss of LAM Mozambique Airlines flight TM470 on Friday 29 November 2013. Today, LAM’s family assistance team again called on families of the deceased to discuss and address their needs and to update them on the procedures for collecting ante-mortem information, including DNA samples so that they are prepared for when these are requested by the Namibian authorities who are responsible for identifying the remains of the deceased. This information is a legal requirement and will help to positively identify the remains of the passengers and crew who perished in last Friday’s tragic accident. LAM fully appreciates the families’ desire to be able to pay their respects to their loved ones and arrange their funerals. We also share the families’ anxiety over the conflicting information coming from Namibia on the status of the remains and what relatives are expected to do. At this time, it is impossible to say when the passengers’ and crew’s remains and possessions will be returned to their families. This will be determined by the identification process, which is in the hands of the Namibian authorities. We can only trust that they will act with the best interests of the deceased’s families in mind and utilise the additional support that has been offered to expedite the identifications with the care and compassion the families deserve. As we previously stated, LAM sent a team of experts and also asked Kenyon International, specialists in disaster recover, to deploy to Namibia. They are in that country to avail themselves and their assets to the Namibian authorities to support the accident investigation and to assist with the identification and repatriation of the deceased’s remains and their personal belongings. This morning, teams in Namibia met with the accident investigators and travelled to the accident site to retrieve the personal belongings of the passengers and crew from what has been assessed to be a very dangerous and volatile site. Regarding the accident investigation; as we have said before, it is crucial that the investigators are given the time and space to do their work without interference or prejudice. Air accidents are complex and require patience, expertise in several disciplines and attention to detail in order to discover what happened and why. Speculation on possible causes is unhelpful and could be seen as an attempt to unfairly influence or pre-empt the investigation. LAM has opened a Condolence Book for people wanting to send messages of sympathy. Cards can be sent to our head office, alternatively, messages can be emailed to: condolencias@lam.co.mz (for Portuguese messages) or condolences@lam.co.mz (for English messages). Looking at operational matters, as a stop-gap measure to avoid any disruptions to its normal operations, LAM has leased a Boeing 737 from a South African charter company until a permanent replacement aircraft has been acquired. We will provide another update tomorrow." At 20h30 (Mozambique time) on the 2nd December 2013, LAM placed the following update on their website: "Following is further updated information regarding the tragic loss of LAM Mozambique Airlines flight TM470. Today, the recovery teams from LAM and Kenyon International met in Windhoek with the Namibian Police to establish protocols, procedures and logistics for the recovery, positive identification and repatriation of the remains and the personal belongings of the passengers and crew who were lost in Friday’s air accident. At this time, we still not being able to provide information on a date when the passengers and crew’s remains and possessions will be released and returned to families. This will be determined by the progress of the identification process and tests, and we are confident it will be done with the necessary speed and accuracy. Operationally, out of respect for the passengers and crew who died in last week’s accident, LAM has withdrawn the previous flight numbers (TM470/471) since today 02 December. The flight numbers for this service are TM500 (Maputo – Luanda) and TM501 (Luanda – Maputo). Holders of tickets for flights on this route, which were purchased before 01 December 2013 should be aware of this change. There is no change to the scheduled departure times. Air accidents are complex and require patience, expertise in several disciplines and careful attention to minute detail in order to unpick and discover what happened and why. Speculation on possible causes are unhelpful and could be seen as an attempt to unfairly influence or pre-empt the investigation. At the same time, we appeal to journalists to report only authenticated information. We will provide another update tomorrow." At 15h00 (Mozambique time) on the 1st December 2013, LAM placed an update on its website which included, inter alia: "Following is updated information regarding the tragic loss of LAM Mozambique Airlines flight TM470. This morning, the recovery teams from LAM and Kenyon International arrived in Namibia and are making their way to the accident site. The Namibian and our recovery teams have begun to search for and recover the victims’ remains and their personal effects. This is necessary to positively identify the deceased. Identification is done using the best international practices and standards and is necessary so that their remains can be repatriated and funerals arranged. At the same time, we remain focussed on addressing the immediate needs of the victims’ families. Our Family Assistance teams in Maputo and Luanda are continuing to update the families and loved ones on the status of the recovery operation. We have also begun making arrangements for a memorial service for the families, loved ones, friends and colleagues of everyone who was onboard TM470. We will provide details for this as soon as the arrangements have been finalised...The crew comprised of a Captain, First Officer, Chief Cabin Attendant, two cabin attendants and a technician...The Captain had logged 9,053 flight hours. Of these, 1 395 hours were in command of an aircraft and 2 520 hours flying the Embraer 190. He received his command on 12 April 2012. His most recent flight medical check was on 02 September 2013. The First Officer had logged 1 418 flight hours. Of these, 108 hours were on the Embraer 190. His most recent proficiency check was on 08 September 2013. His most recent flight medical check was on 28 September 2013. Both of pilots held valid Airline Transport Pilots licences...The aircraft, with the Mozambique registration C9-EMC, and both engines had logged 2 905 flights hours in 1 877 flights. The aircraft and engines underwent their last prescribed check on 28 November 2013. This was a routine maintenance inspection carried out every 14 days or every 120 flight hours (whichever comes first)." At 19h00 on the 30th November 2013, LAM placed an updated on its website containing inter alia: "As a primary form of assistance, LAM has established family liaison centres at Maputo and Luanda airports. These are staffed with professional counsellors in addition to leaders of various faiths representing the religions of the people concerned. At the same time, we are also providing advice to the families about the international legal processes that have to be followed following a fatal air accident...Flight TM470 was a scheduled service from Maputo to Luanda. It was carrying 27 passengers and six crew members. LAM has also briefed the Maputo-based Embassy and Consular officials of those countries. We have mobilised Kenyon International, a global specialist disaster and emergency management organisation to assist in the search and recovery of the victims remains and also their personal possessions. For the families, this is important as it will enable the positive identification of each person who was on the aircraft. The Kenyon team is en-route from the UK to the accident site and by tomorrow we hope to have a clear assessment of the situation there. LAM has also assembled and dispatched its own response team to Namibia this afternoon to assist and provide support to the authorities which will investigate this accident. In accordance with international aviation law, Namibia, as the country where the accident occurred, will lead the investigation. Civil Aviation Authorities from Mozambique, Angola, Brazil and the US National Transportation Safety Board will also participate in the investigation. We do not have any information on the circumstances of the accident and we cannot speculate on possible causes as the investigators must be given the time and space to do their work without interference or prejudice." The crew comprises two pilots, three cabin attendants and a technician. LAM has begun informing the families and next-of-kin of the passengers and crew. It has also briefed the Maputo-based Embassy and Consular officials of those countries. A dedicated call centre has been opened for families and loved ones of the missing passengers to call for information. The toll-free hotline number is: +258 21 468 778/9. We will be publishing regular updates as additional verified information becomes available and the next of kin of the deceased passengers and crew have been notified. LAM has also assembled a response team which has been dispatched to Namibia this afternoon to assist and provide support to the authorities which will investigate this accident. We do not have any information on the circumstances of the accident and we cannot speculate on possible causes as the investigators must be given the time and space to do their work without interference or prejudice. The aircraft was an Embraer 190, registration C9-EMC. The 93-seat aircraft was manufactured in 2012 and was powered by by two General Electric CF34-10 turbofan engines. Since entering service with LAM on 17 November 2012, the aircraft had logged 2 905 flights hours in 1 877 flights. We are also posting updates on our website: www.LAM.co.mz We would like to thank the Namibian, Angolan, Botswana and South African authorities for their support and the resources they have deployed in the search for our aircraft. For further information contact LAM Corporate Communications on +258827846815/+258825777946. Families should phone + 258 21 468778 or + 258 21 468779 Press should phone + 258 82 7846815 or 258 82 5777946;"
The initial press release placed by LAM on their website on the 29th November 2013: "LAM - Mozambique Airlines, S. A. informs that its flight TM 470 departed from Maputo International Airport at 11:26 hours today, November 29, 2013, to Luanda, the Angolan capital, scheduled to arrive at 14: 10H, local Angola time has not arrived at its destination as scheduled. 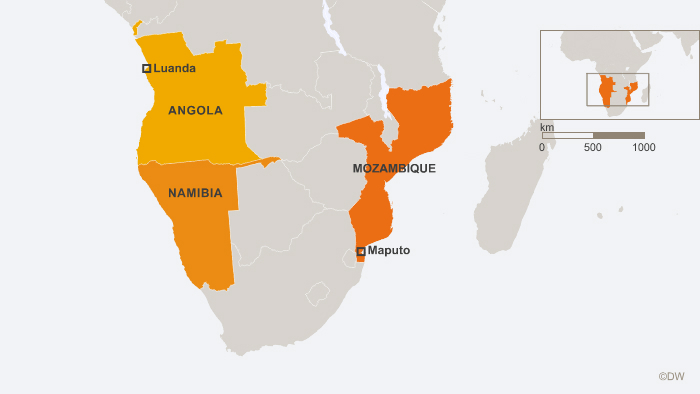 Information obtained indicates that the flight has landed in a location in Northern Namibia, bordering Angola and Botswana near a place called Rundu. On board flight TM470 were 28 passengers and 6 crew members. Currently LAM, Aeronautical and Airports authorities are establishing contacts with the authorities close to the location in order to confirm this information. LAM will provide updates as more information is obtained. For more information contact LAM Corporate Communications, Mr. Norberto Mucopa: 82 7846815 and Mrs. Irina Matos: 825777946"
29 April 2013. LAM launches direct flights from Johannesburg to Nampula. April 2011. Safety concerns prevent LAM from flying to Europe. LAM has codeshare agreements with Ethiopian Airlines, Kenya Airways, Precision Air, SA Express and South African Airways. LAM operates flights from Beira, Cape Town, Cimoio, Dar es Salam, Inhambane, Johannesburg, Lichinga, Lisboa, Luanda, Maputo, Mocimboa da Praia, Nairobi, Nampula, Pemba, Quelimane, Tete and Vilanculo. This includes flights from Johannesburg to Vilanculos.